Dreaming of a tropical paradise here in the Midwest. I am beginning to get tired of the cold, and rain. 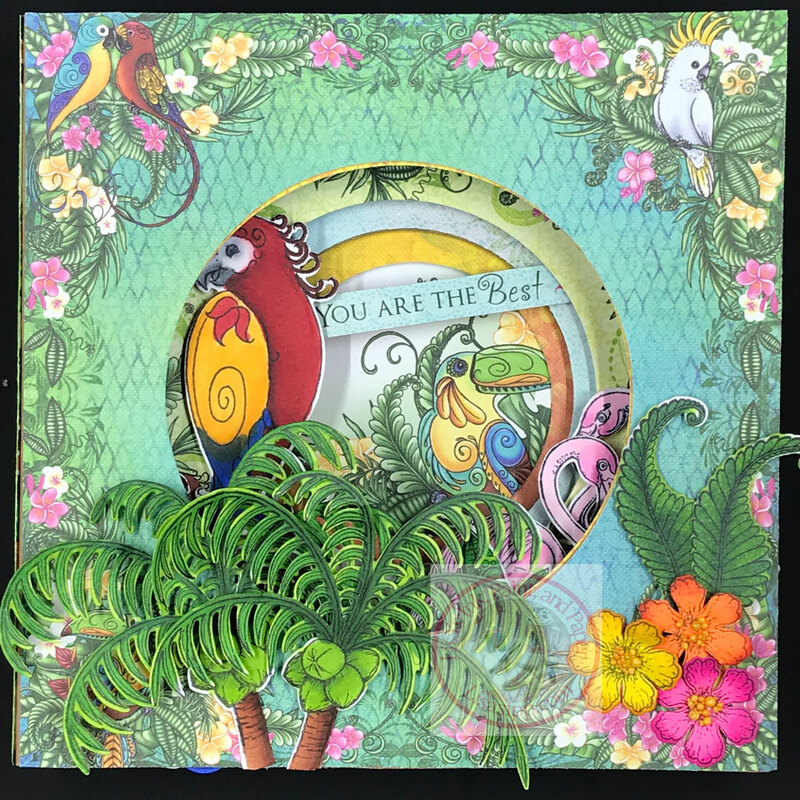 Wouldn’t this Tropical Paradise 3D layered card brighten anyone’s day. 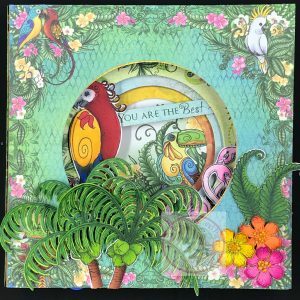 I started with the Heartfelt Creations Tropical Paradise Paper Collection, a 6″ x 6″ Layered Circle Cards in Kraft, the Tropical Paradise Cling Stamp Set and Die, the Palm Tree and Monkey Cling Stamp Set and Die, and the Botanical Rose Cling Stamp Set and Die. The stamped images were colored with Copic Markers. The flowers were stamped on colored cardstock and the edges were inked with Distress Inks. Beautiful! 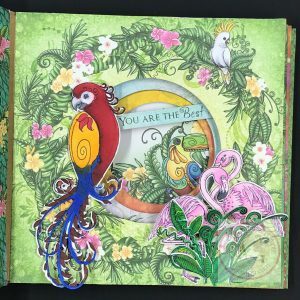 Congratulations on making the semi-finalists for Heartfelt Creations!